Litigation timelines are frequently used in business and personal injury cases because they illustrate the events of a trial case in a chronological sequence that is easy for jurors to understand. 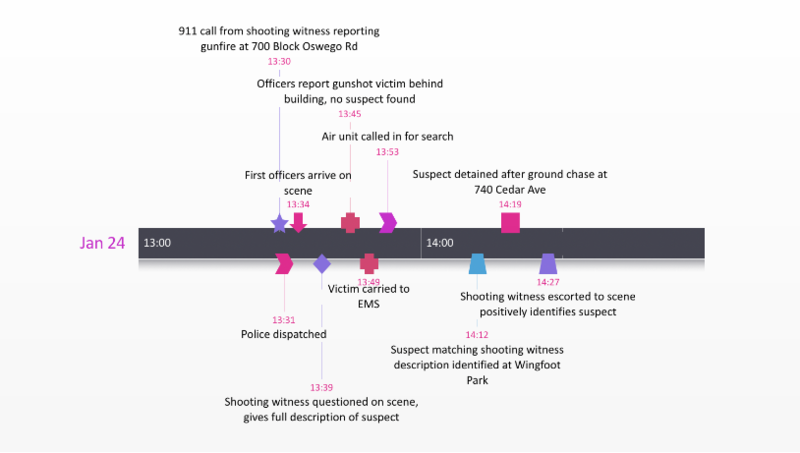 This legal timeline template was designed to help litigators tell a story by presenting the facts logically and powerfully. The trial timeline is a native PowerPoint template, which means it is easy for litigators to edit it, share it and present it. The legal timeline will exhibit your critical and convincing case information to the jury in a refreshing easy-to-understand way. Litigators and lawyers should use it to communicate the compelling facts of their case in a simple style so that jurors understand what the trial is all about. 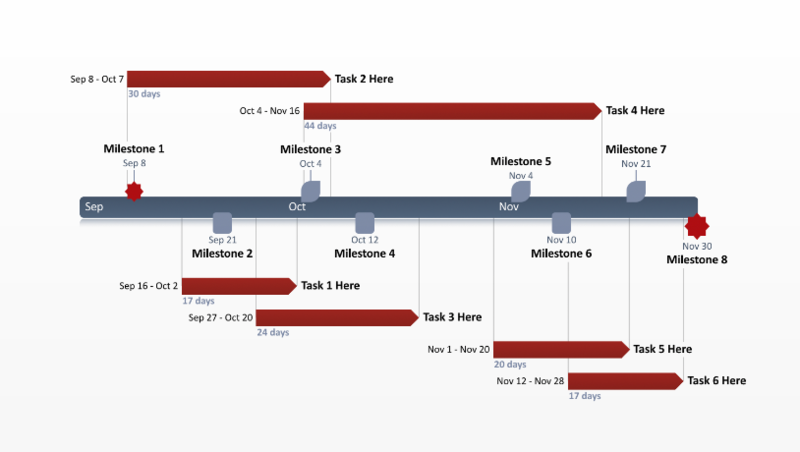 The legal timeline can be used at any stage of litigation, from opening arguments to settlements in trial or mediation. 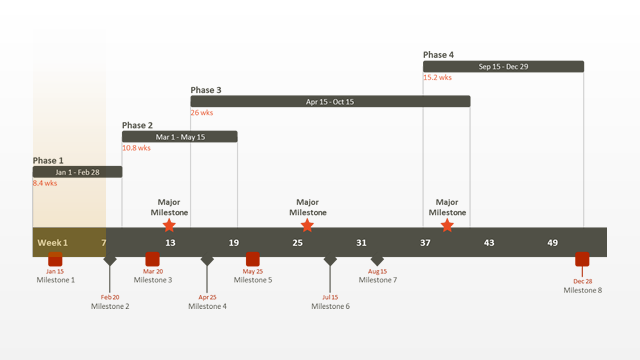 This legal timeline can be downloaded for free and edited manually in PowerPoint or it can be automatically edited with the Office Timeline PowerPoint plug-in. Office Timeline is a PowerPoint add-in for litigators who need to create convincing case visuals that support their oral arguments. It integrates right into Microsoft PowerPoint and gives legal teams a simple tool for rapid timeline creation and easy editing. 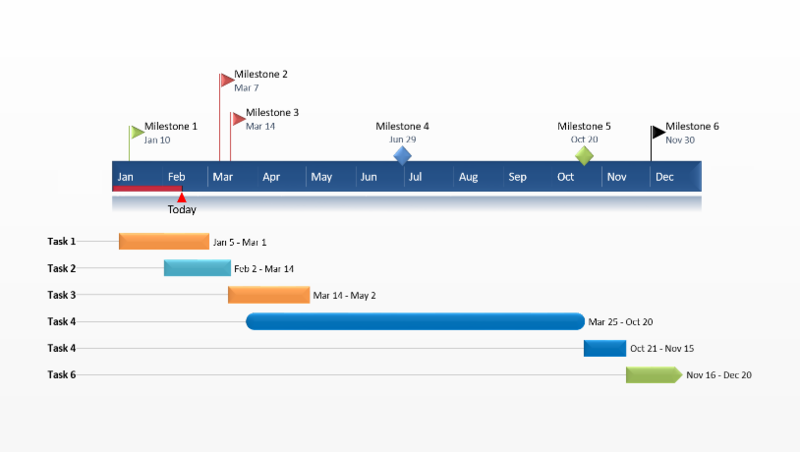 The legal timeline template can be updated and customized easily using the Office Timeline add-in, or litigators can use Office Timeline to create new and different legal timelines from its extensive timeline template gallery. Legal timelines are used in business litigation, construction litigation, personal injury litigation, intellectual property litigation, and liability litigation because they are effective visuals for demonstrating the timing of the key facts and events which anchor cases in jurors’ minds. 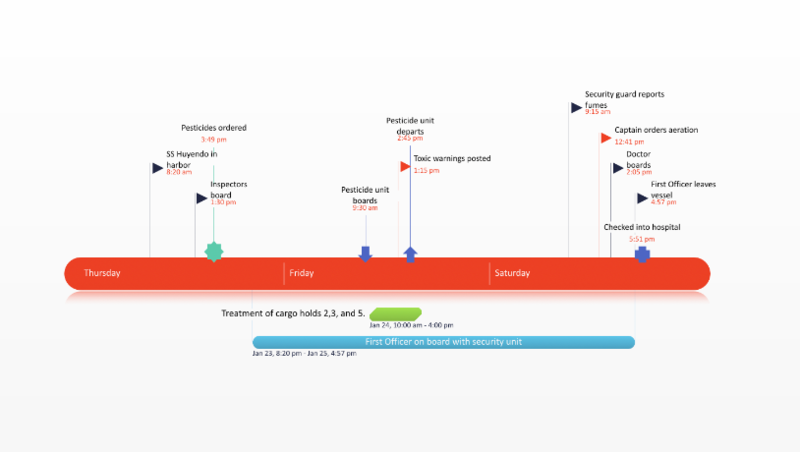 This trial template and Office Timeline should be use by legal teams as an alternative to outsourcing the creation of legal timelines. Litigators can leverage all of PowerPoint’s formatting power and customize this template to fit their particular case and theme. All colors, shapes, sizes and styles can be changed and updated quickly and easily by anyone on the legal team. Creating litigation timelines can now be done in house by the people who are closest to the case, saving time and money.